Branding is the marketing practice of creating a name, symbol or design that identifies and differentiates a product from other products . Brand may mean “better” : Consumers are ready to pay the high price for certain brands because they accept such brands as the symbol of quality. For e.g Consumers often pay more for Sony products, Kodak products, Apple products, General Electric products, etc., because these are the names that assure quality. Brand permits freedom of Choice:It makes convenient to the customers in making choice of the products as brands differentiate the products of one manufacturer from others. For e.g. there are several brands of soap like Lux, Dettol, Mayalu, Sherpa,Liril, etc. A customer can easily differentiate these products and can freely select one of them. Brand assures regular satisfaction: Generally customers give preference to buying those products, which can provide consistent satisfaction. 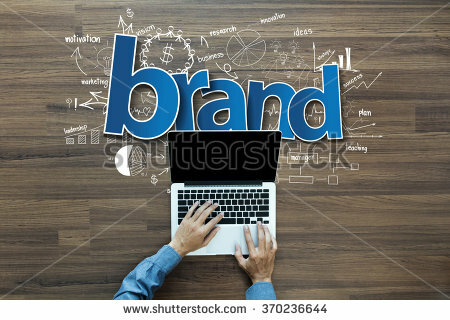 Branded products usually maintain uniformity in quality and other product features or attributes,as such they can provide regular satisfaction to the customers i.e., brands assure security (against cheating) to the customers, and they feel less risky while purchasing branded products. symbolic value.They feel prestigious while purchasing these products, such as Sony TV, etc. Brand provides adequate information: Brand provides adequate information to customers regarding the use of products, name and address of manufacturer, product features, contents of the product, etc. The information is valuable for the customers not only for making choices of the products but also to solve their individual problemsthrough the product. Non-branded products cannot provide such information. Brand legally protects the interest of the company:Brand names are registered under the concerned law or Act.As such brands are legally protected , and no other manufacturer can use the same name for their products of similar line. Brand helps in identifying market segments:Brands assist the producers in identifying the exact size and type of market segments.This identification of market segment is helpful to modify products to expand market and formulate suitable marketing program to implement. Brand may build the corporate image:If uniformity and quality of the product could be regularly maintained the brand may develop the positive image of the manufacturer. Once the image is developed in the market, the manufacturer can market new products in a position of strength. Brand may help mass production and lower the production costs:Branded products assure product quality and satisfaction to the customers, which help in increasing demand for the product. Products can be offered at lower rate. It may boost up sales and, finally, manufacturers may enjoy the benefits of higher profitability. Brand as a guide to quality:For many generic products (such as medicines, foods,milk, water, gasoline,detergents,etc) brands is often the guide to quality identification. Therefore, the conscious marketers of such products always take care of society’s health and benefits by assuring their quality.